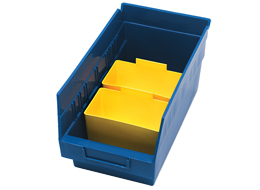 4-1/8 x 5-1/2 x 8" Divider. 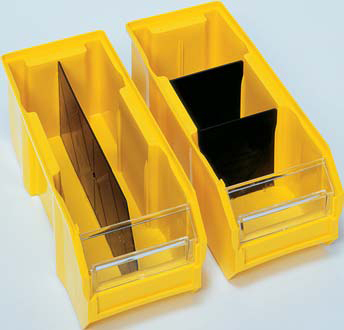 Dividers are used in tough, high density 8"H Store-Max shelf bins to create compartments allowing the contents to be separated. Dividers are to be installed horizontally accross bins. 4-1/8 x 5-1/2 x 8"
6-5/8 x 5-1/2 x 8" Divider. 6-5/8 x 5-1/2 x 8"
8-3/8 x 5-1/2 x 8" Divider. 8-3/8 x 5-1/2 x 8"
11-1/8 x 5-1/2 x 8" Divider. 11-1/8 x 5-1/2 x 8"